Five Property Division Factors In Port St. Lucie | Eighmie Law Firm, P.A. 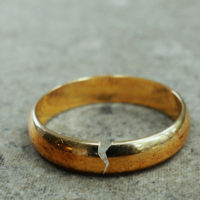 Some states almost always divide marital property 50-50 in divorce cases. That’s especially true in California and a few other community property states. During the resolution process, whether that involves mediation or a trial, Florida law sets forth a number of different factors to apply in property distribution matters. Florida law strongly favors spousal agreement, especially with regard to property distribution. So, St. Lucie County family law judges almost always uphold them. That’s assuming they are not grossly one-sided and both parties had a roughly equal voice in the process. Sometimes, the spousal agreement is a formal, written document drawn up by attorneys on each side. Other times, the agreement is little more than an exchange of emails or text messages. These informal agreements are a little harder to establish in court, but it’s possible to do so. Typically, it’s in the best interests of the children that they remain in the family home. If that presumption holds up, the residential parent usually receives the house. In many cases, the other spouse is entitled to a substantial amount of equity. There are some ways one parent can keep the house and the other parent can receive a fair property share. An owelty deed for partition is the most common vehicle. If Wife gets the house and Husband is entitled to half of the $20,000 equity, he may take out a $10,000 lien. When wife sells the house, the lien must be paid. This factor sometimes bleeds into the next factor discussed below. Real property awards often mean significant tax bills. If that’s the case, the receiving party might be entitled to an additional income stream, perhaps in the form of more spousal support, to meet this obligation. Beginning in January 2019, this factor will change significantly. Effective on New Year’s Day, alimony payments will no longer be tax-deductible, and alimony receipts will no longer be tax-reportable. The “homemaker factor” varies considerably in different cases. It is most pronounced when one spouse abandoned a career to become a caretaker. That spouse may be entitled to compensation in the form of a larger share of marital property. In other cases, this factor may be much less significant or even completely inconsequential. Strictly speaking, adultery or other fault in the breakup of the marriage is not relevant in Port St. Lucie property division proceedings. However, the dissipation rule is essentially a back door for fault-based distributions. For example, assume Wife spent $10,000 on gifts for boyfriends. Husband might be entitled to an additional $5,000, which represents his share of the vanished marital property. Some special rules apply in dissipation cases, including a two-year lookback period. Proper property distribution rests on a number of factors. 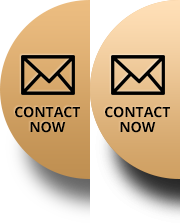 For a free consultation with an experienced family law attorney in Port St. Lucie, contact Eighmie Law Firm, P.A. Convenient payment plans are available.